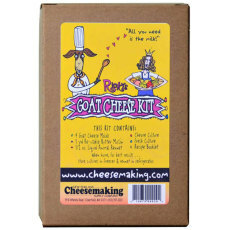 Make your own goat cheese at home with this kit! 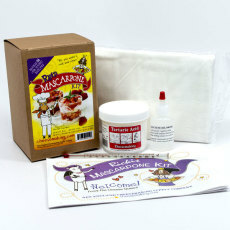 Ricki's Goat Cheese Kit gives you the tools you need to get started making your very own goat cheese at home! There are a number of different types of cheese that can be made with goat's milk. 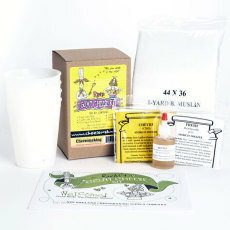 This kit includes cultures for making both Chevre and fresh goat cheese from plain goat's milk. 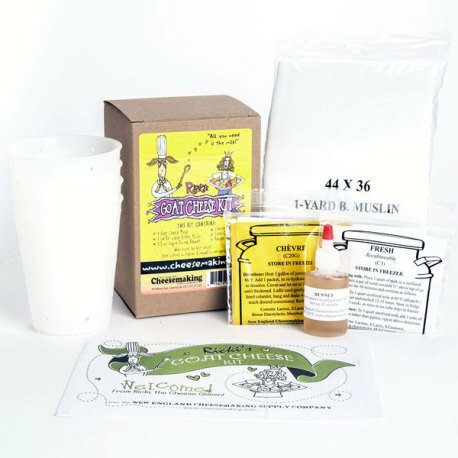 Inclded in the kit are 4 goat cheese molds, 1 yard of reusable butter muslin, 1/2 oz liquid animal rennet, Chevre culture, fresh culture, and a recipe booklet. 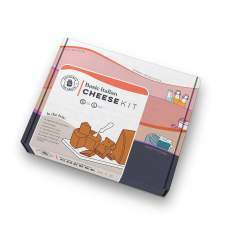 The recipe booklet not only explains how to make chevre and fresh goat cheese, but also has recipes for use with both types of cheese, and explains how to make a mother culture from the included fresh culture! Chevre and Fresh cultures should be stored in the freezer and will last up to 2 years if stored properly. Rennet should be stored in the refrigerator and will keep approx. 3 months.